They're up! My February Literacy Menu Centers are up! I don't have the math ones started finished yet, so I put the literacy ones on sale for what you would get them as in the bundle - they are 20% off!!! They'll be on sale until Monday night. I wish I was able to take picture of my kids doing them during our centers time, but my small group kids are very greedy with my attention - ha!! Our admin told us the other day at a meeting that EVERYthing we do needs to be standards based. Ok, I get that. Makes sense....she said even our centers. At that moment I was all proud of myself because that's EXACTLY what I've BEEN doing - all I need to do is staple my center menus to my planbook, and BOOM! Standards are documented for my centers. And there are book response activities added in at the end! And I just want to say - THANK YOU for the BEST responses on my menu centers!! Every time I read them, it bring joy to my heart that you love them! 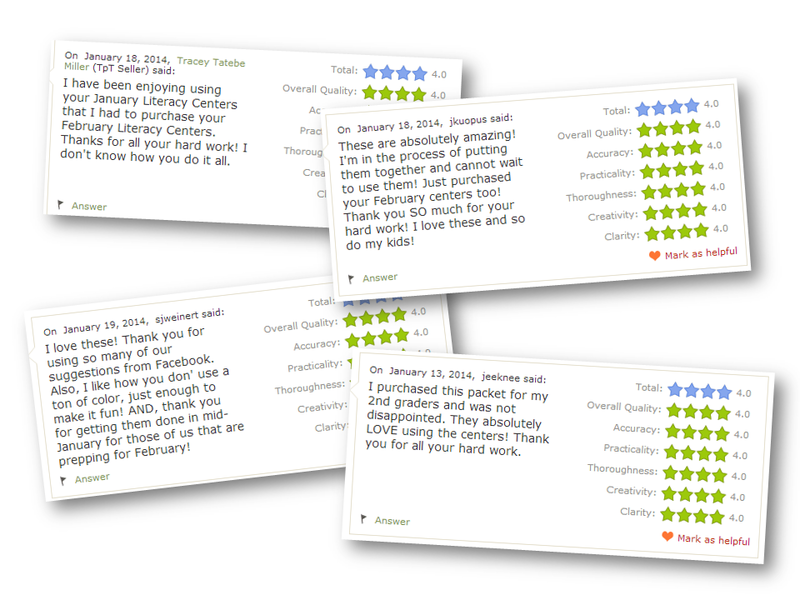 Here are a few feedbacks that just SERIOUSLY made my day when I read them. Some of them came from my January Centers and some of them came from the February centers. Seriously, you make me all squishy inside! Check them out on TPT or my Shop on the Blog store! One last thing! 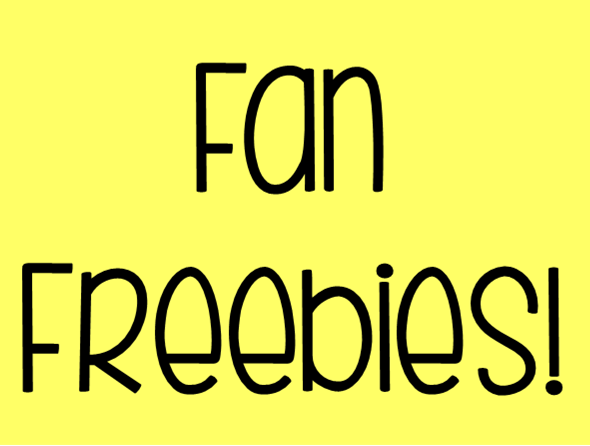 Make sure you go the Fab Freebies Tab on my blog's Facebook page! I've uploaded the LAST installment of the calendar cards (February) and I'll be taking ALL of the cards down Monday night! Jen, these look amazing! You've got everything covered and the Teacher Menus will be a huge time saver! Ready for the New Year - Organizing and planning! Winter Break Blues - Giveaway!